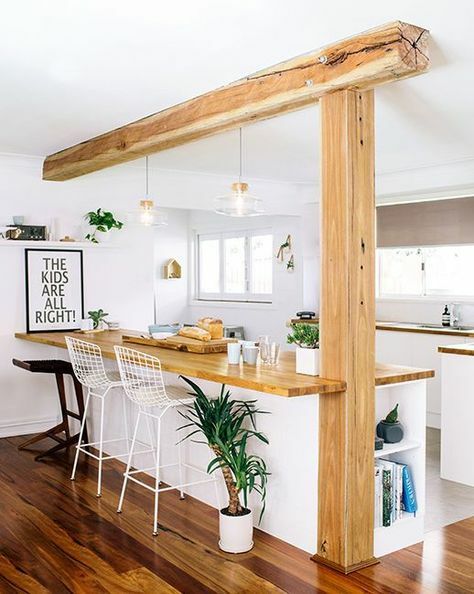 Although beams best define rustic homes, they are actually very hot interior trend and can perfectly complement any type of decor. 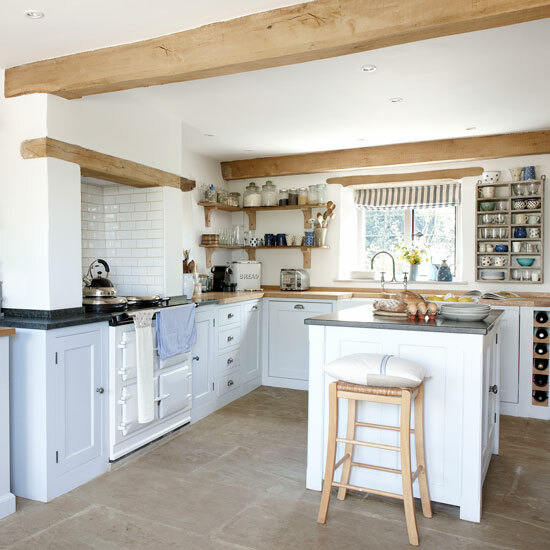 From tradition to contemporary and country, ceiling beams will add something beautiful to any home style. 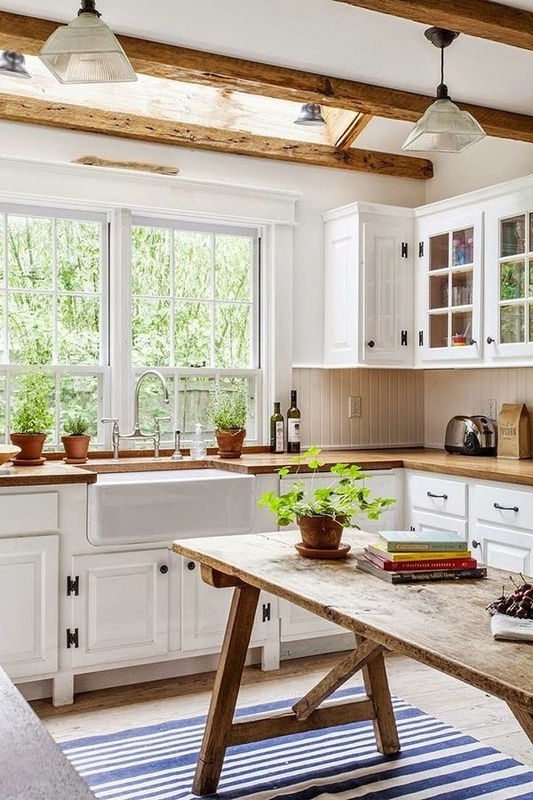 I wanted to inspire you to add some warmth to your space and make your kitchen more relaxing and comfortable place for preparing meals, so I rounded up some ideas that will make you say wow for sure. 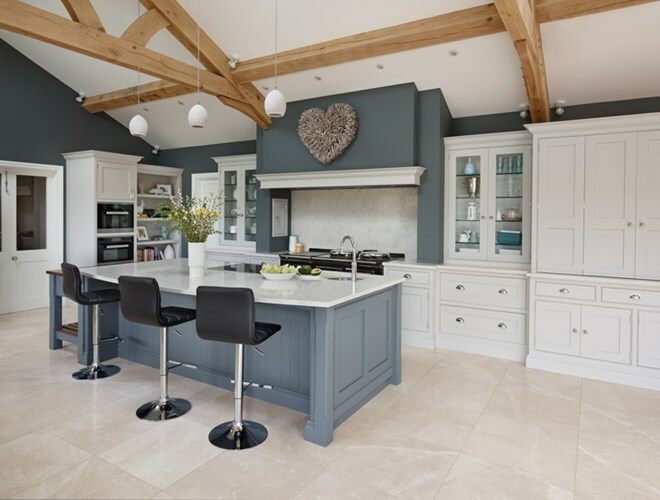 The kitchen is the heart of any home, especially now when homes are moving towards open plan living. 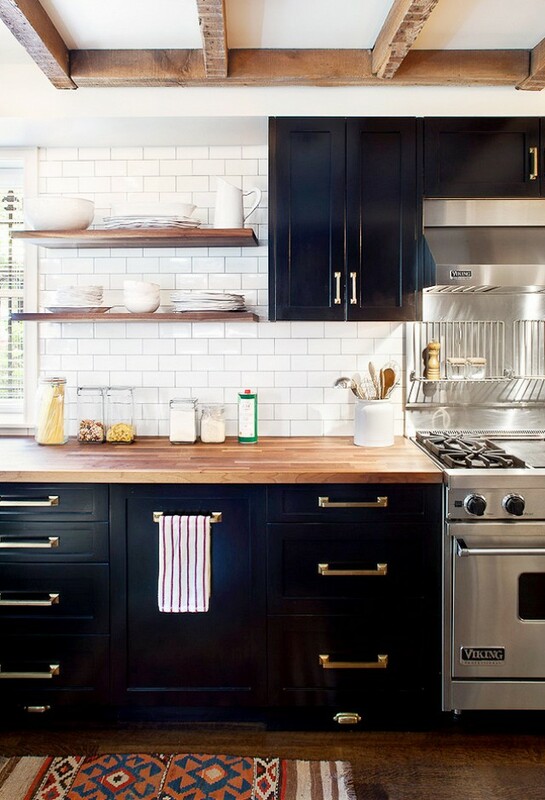 So, let’s take a look at these ideas and get inspired to decorate it well. Enjoy! Depending on your style, you might consider adding one, two or more exposed beams in the form of architectural details. 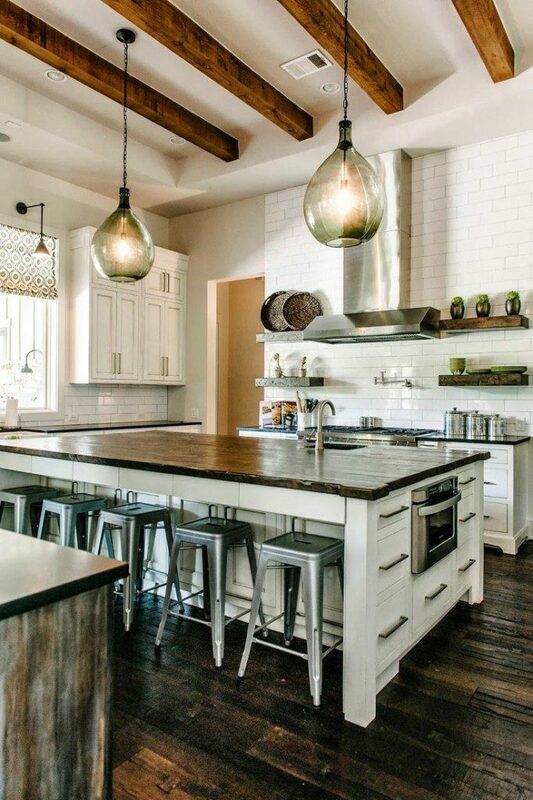 For instance, you can incorporate an astonishing kitchen bar made of beams or you can go with a beam ceiling. 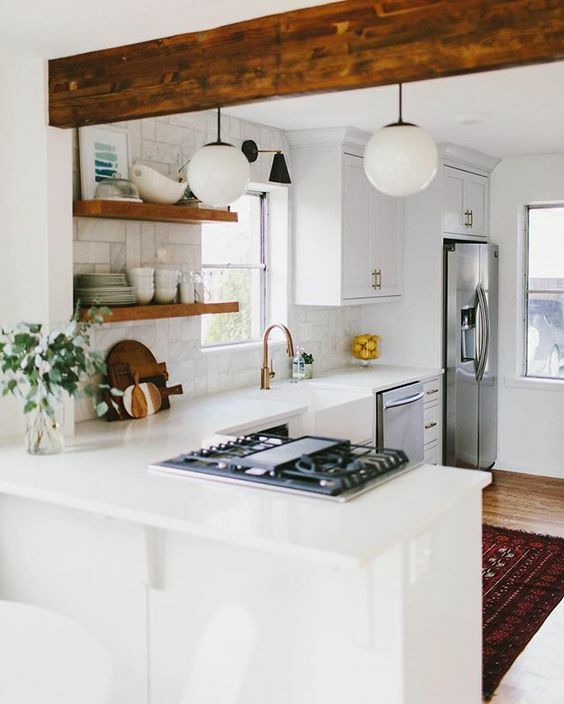 It is always possible to paint the beams in any color you want, and make your kitchen even more dramatic and unique. Beams have been used in houses and apartments for centuries for their natural look, availability, character and durability. When used in the right way, beams scream “touch me” and therefore add a very inviting element to the whole space. 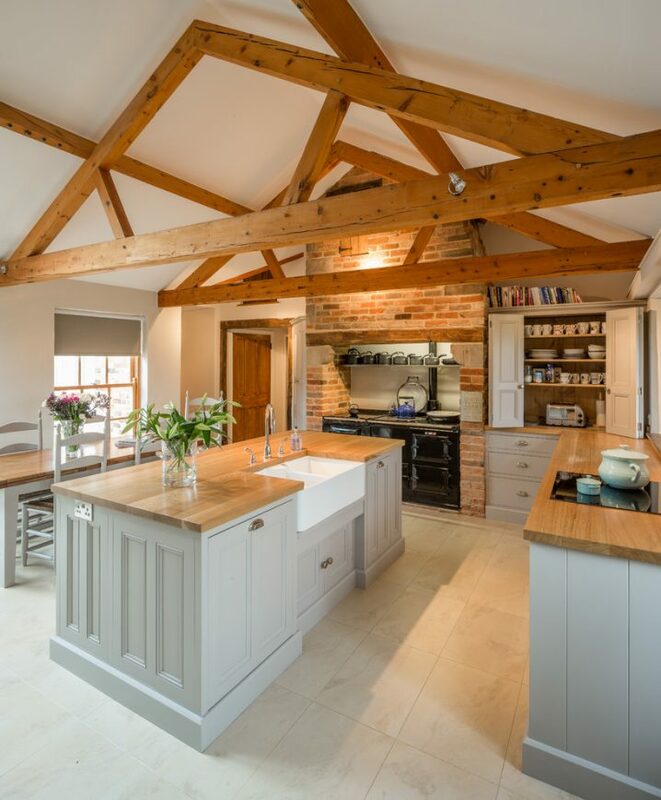 As you can notice these kitchens with exposed beams create homely, warm and natural feeling. 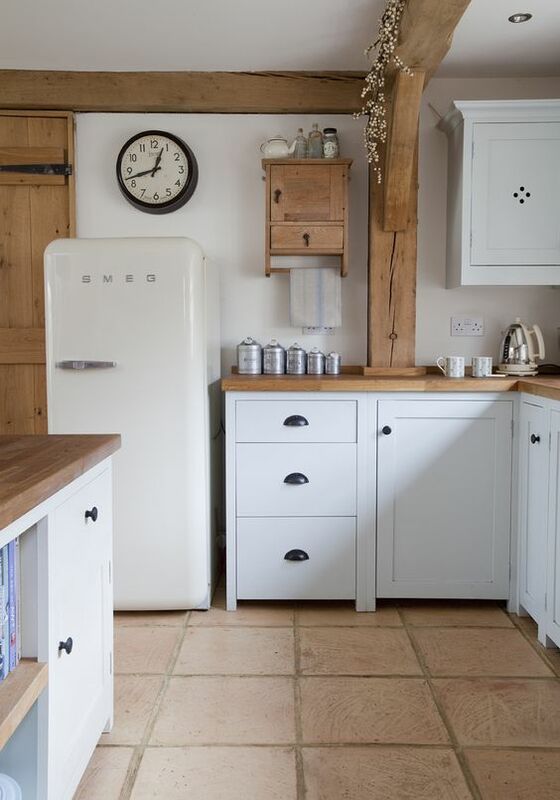 So, why not to follow this interior trend and add some warmth and texture to our kitchens? In this gallery you can find ideas for every style and taste, so pick the idea that fit your space the best and do it! Or you can use your creativity and immense imagination and incorporate beams in some other way! 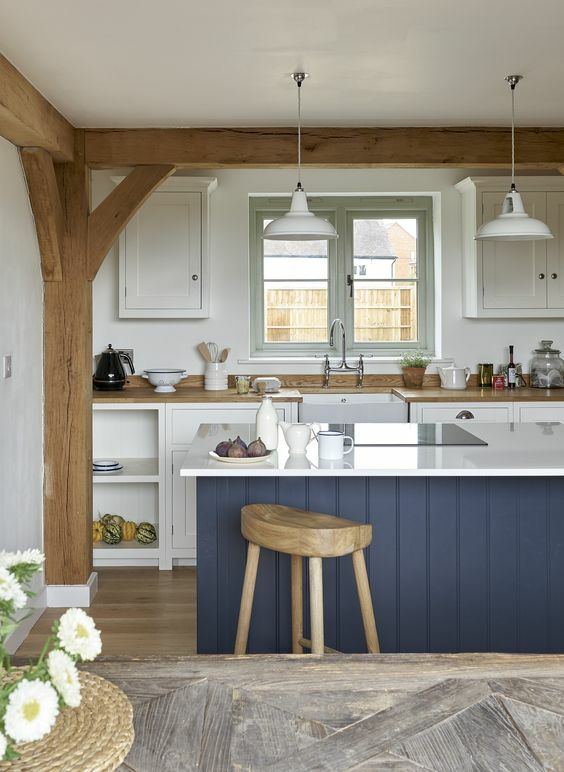 So, what do you think about these kitchens decorated with beams my dear top readers? Do you find them attractive and inviting? Share you thoughts with me in a comment below! If you have some other ideas on your mind to decorate your space, share them too – I would love to see everything! Thank you for reading! Enjoy in the rest of your day and don’t forget to stay up to date with the content of Top Dreamer!